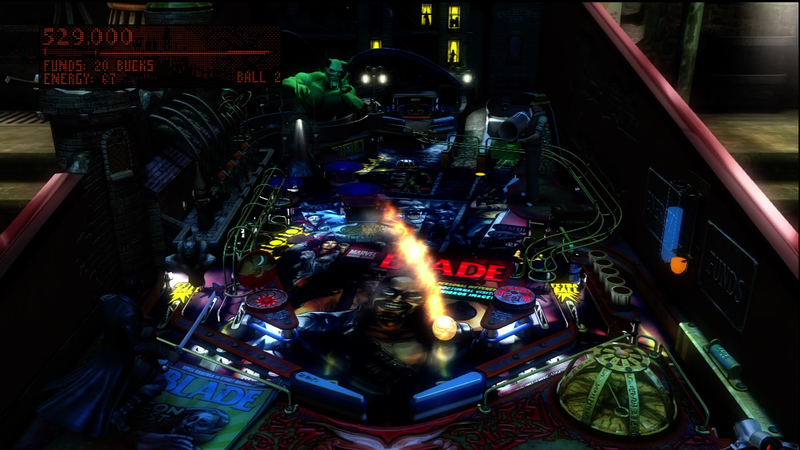 Back during the Game Feast we reviewed Pinball FX 2. It was excellent, and the unique thing about it was that it wasn’t a game but a platform. It came with a core set of tables, with the promise of more to come. Well, Zen Studios kept their promise, and upped the ante, too. 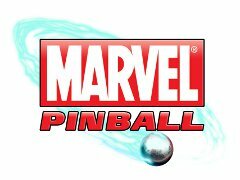 They’ve partnered with Marvel to give Spider-Man, Wolverine, Iron Man, and Blade their own pinball tables. Time to see how they did. 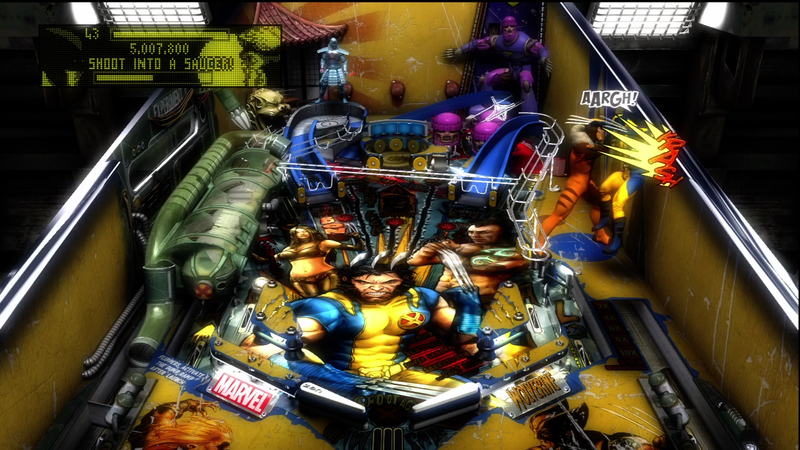 The standard tables for Pinball FX run the gamut from realistic representations of a table you might find at your local bar to a special effects-fest that couldn’t possibly exist in real life. 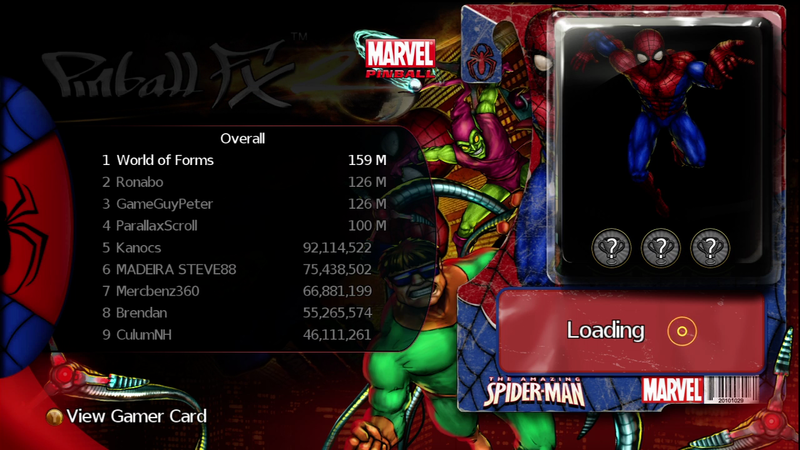 The Marvel tables definitely take full advantage of the options a digital table provides. There are plenty of highly detailed, highly animated features, from a massive sentinel on the Wolverine table to Hannibal King and his hand cannon. The amount of animation can actually get distracting at times. 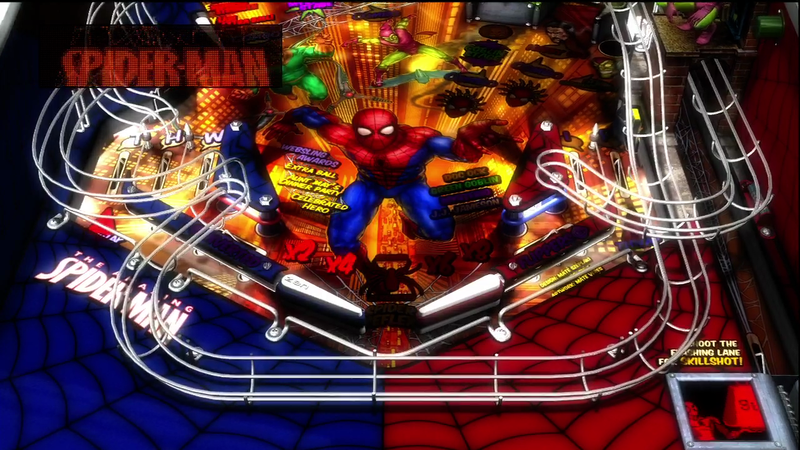 On the Spider-Man table, there is the distinct chance you’ll have two balls (of two different types), a flying Green Goblin, wacky blacklight Mysterio coloring, and a be-tentacled Doc Ock crawling around, all at the same time. Fortunately they make sure to keep the playing field relatively clear. Aside from the larger than life characters traipsing around the edges of the board, they also throw in some fairly impressive ball effects. 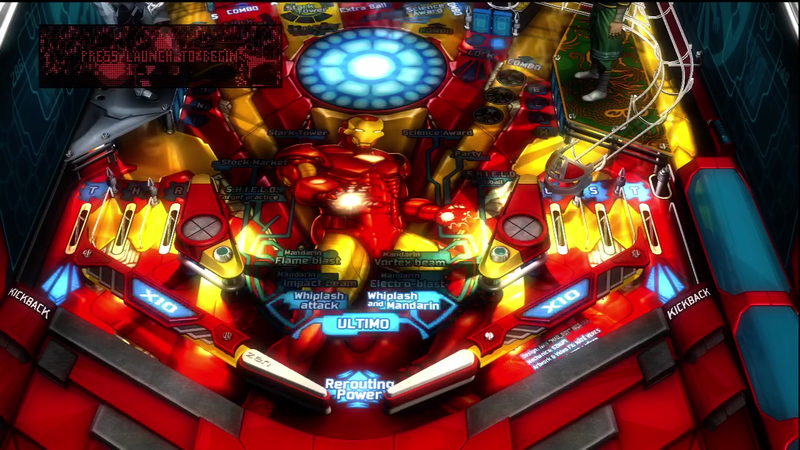 When you get Iron Man to suit up, for instance, it activates an intense little multiball tornado. 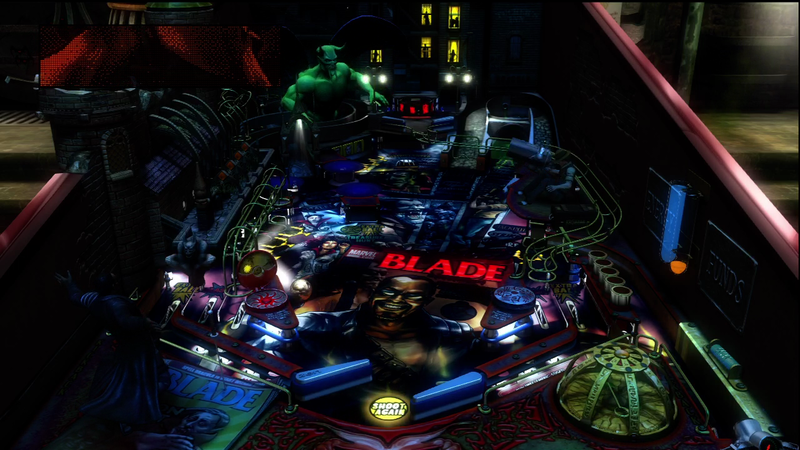 Blade’s level lets you light the ball on fire, too, and everyone knows that if you want something to be more awesome, light it on fire. 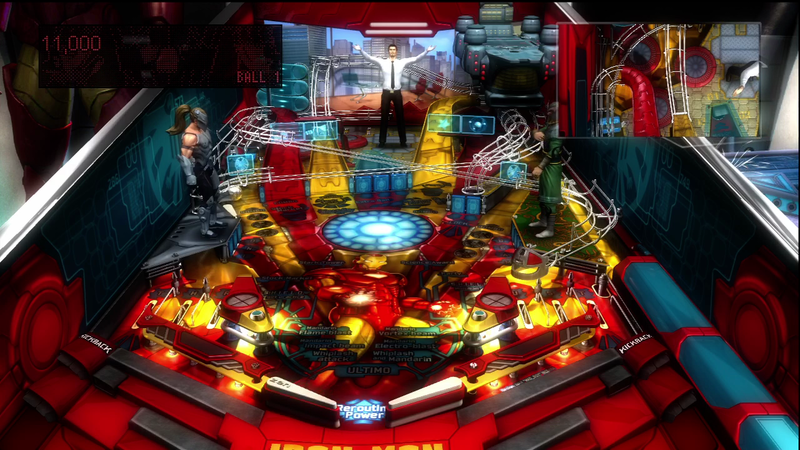 Considering the fact that the main claim to fame of Pinball FX 2 is the faithfulness to the actual pinball experience, you would expect the new tables play to play a lot like the old ones. Well, for the most part, they do. That said, there are a few additions concepts that set them apart. 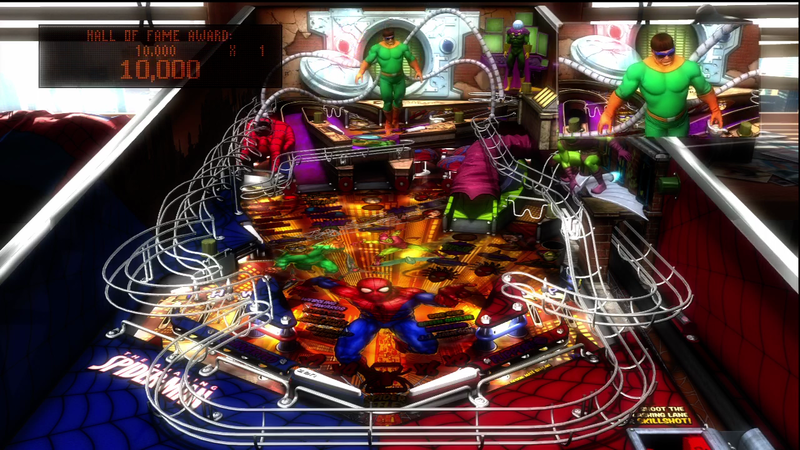 On Spider-Man’s table, for instance, if you bug Mysterio enough, he’ll activate the aforementioned trippy blacklight color scheme. 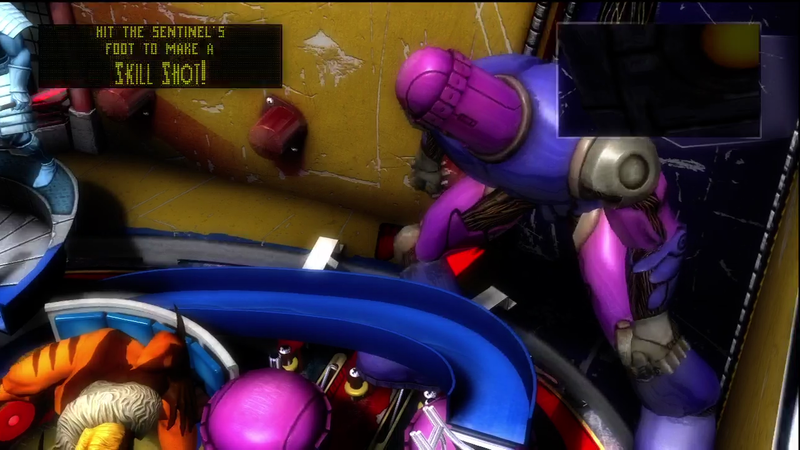 Typically this would just be a special mode with some sort of score multiplier, but the first time you try to bounce the ball back into play, you’ll find that your controls have been swapped. 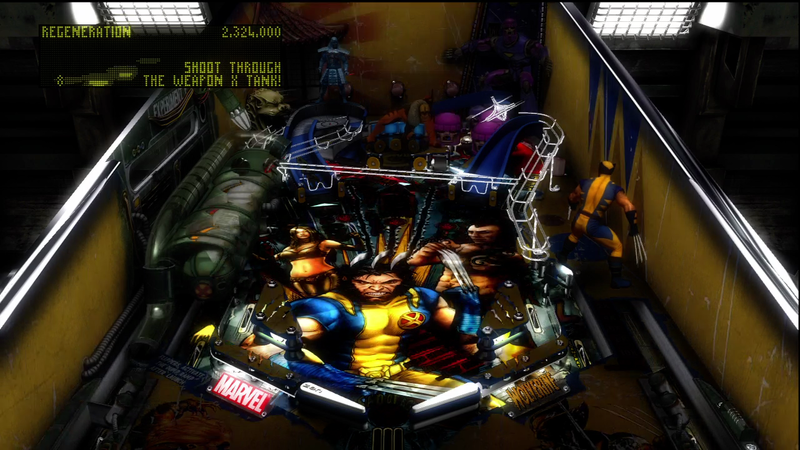 I’m not sure, but I think this might be the first instance of the old “reversed controls” video game standby being applied to pinball. And let me tell you, it is highly effective. 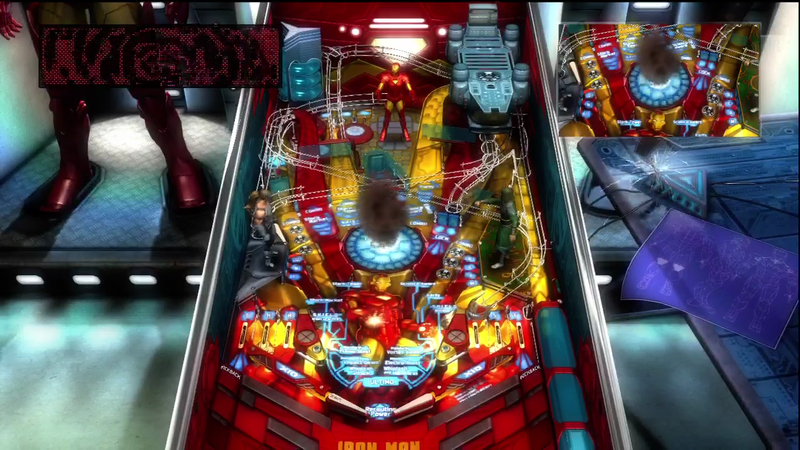 That isn’t the only video game staple that Zen has introduced to pinball, though. 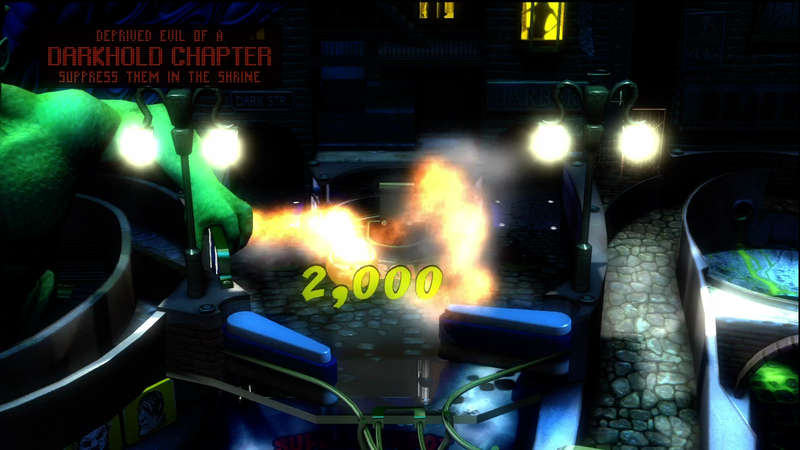 All four of the tables in the bundle feature something that no self respecting video game would be without: Boss fights. After all, what would a comic book hero be without his villains, right? Each table tosses in a few of the featured superhero’s trade mark villains, and tasks you to do battle with them in different and interesting ways. 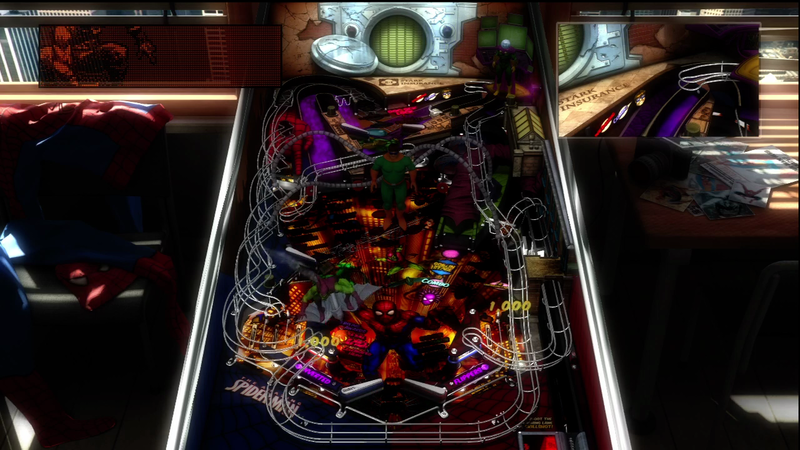 The green goblin tosses a pumpkin bomb onto the playfield and requires you to knock it up onto the appropriate ramps in order to hit him without loosing your own ball. 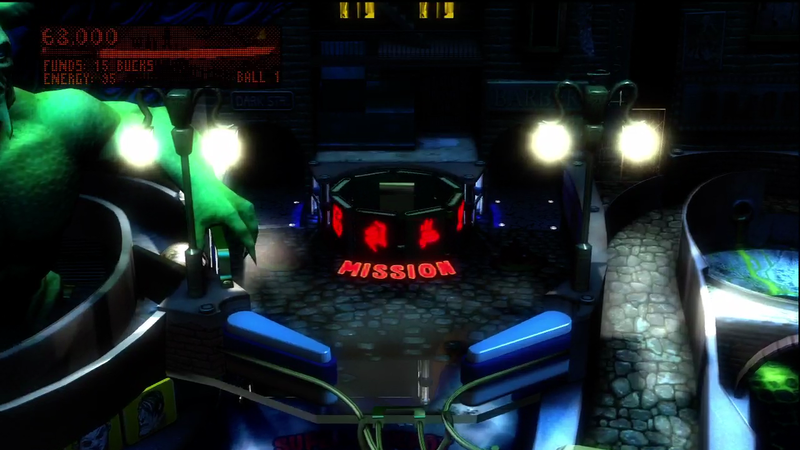 Doc Ock crawls out onto the stage, forcing you to send the ball up to the grip points of his mechanical arms. Sometimes you need to shoot the ball up the right ramp, other times you need to hit the right bumpers, but every table gives you a chance to defeat the bad guy. It is a pretty cool feature, and it is put to excellent use. If there is one thing that this game might have fallen short on, it is the sound. 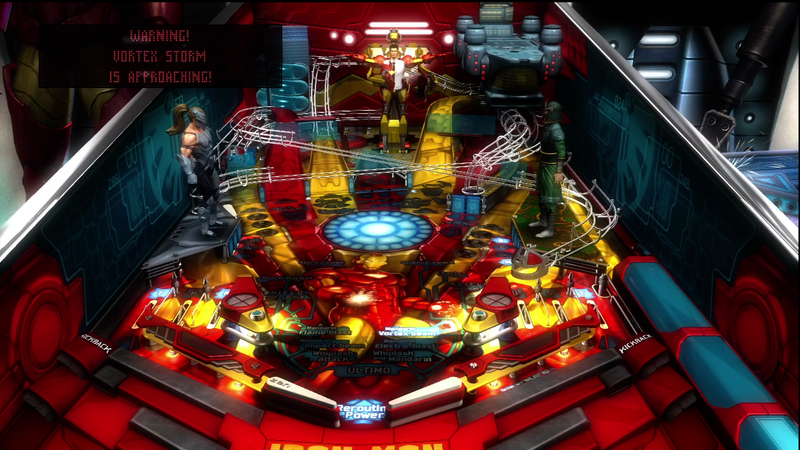 All of the requisite pinball SFX are there, but thrown in are heroic and villainous repartee. Most of the voices are decent, but one or two don’t quite seem to fit. Also, I’ve got a pretty high tolerance for Spider-Man style snark, but if you are the kind of person who gets irritated by comic book taunts, this game will probably wear on you pretty quickly. Then again, if you are the kind of person who gets irritated by comic book taunts, what the hell are you doing playing a comic book inspired game? 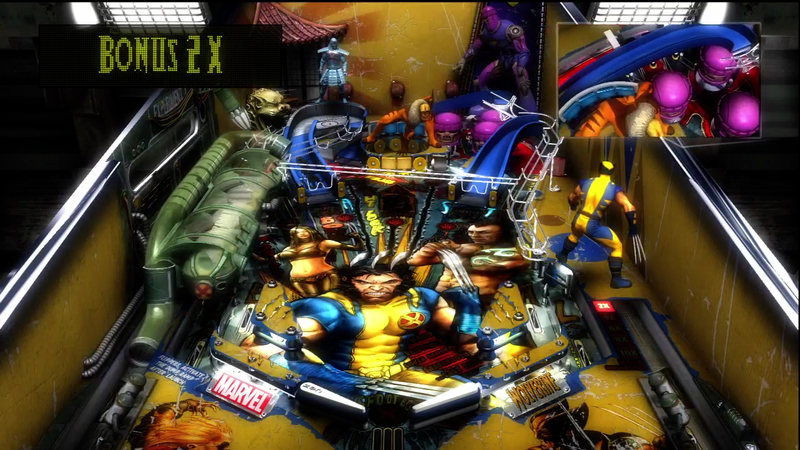 Every good thing I had to say about Pinball FX 2 holds true here as well. They managed to capture the character of their chosen heroes fairly well, and introducing animation that could only exist on a console, as well as a few video game standards, was a great touch. 8.9 / 10. 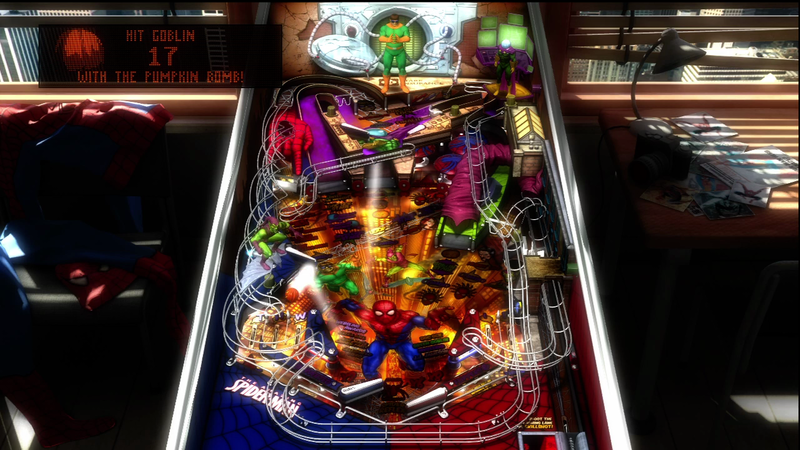 The same authentic pinball combined with creative graphical and gameplay twists.